Gauci-Maistre Xynou (GMX Law Firm) is a dynamically developing Greco-Maltese law firm having its head office in Malta. 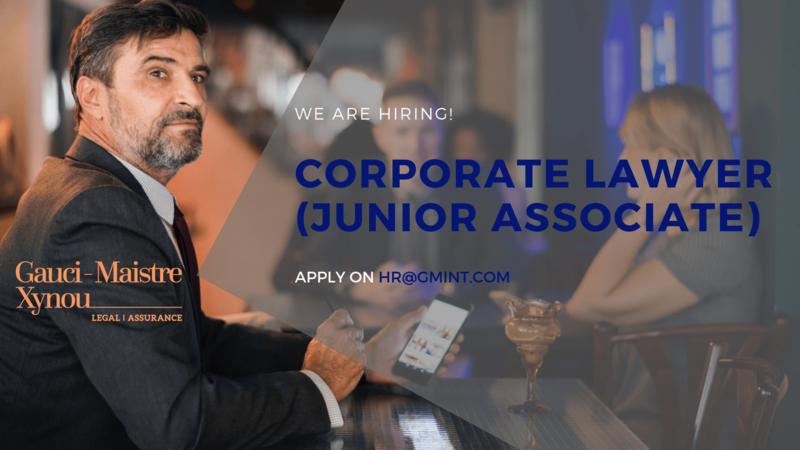 Due to the increase in work and the expansion process being undertaken by GMX, the firm is currently looking to recruit a corporate lawyer to join its Valletta office on a full-time basis. The Corporate Lawyer, who will be reporting to Partners, will be working with both the firm’s legal team from different jurisdictions as well as the financial services team. The successful candidate will be requested to show initiative, take on certain responsibilities within the firm and will immediately be given the opportunity to further advance their career within the law firm.